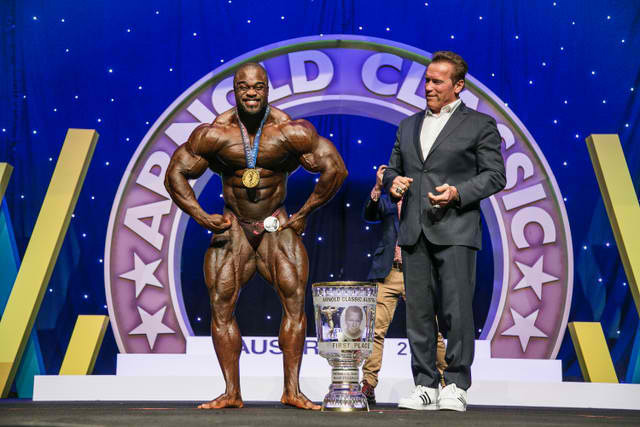 MELBOURNE, Victoria, Australia (March 18, 2017) – Brandon “The Prodigy” Curry of Nashville, Tenn., won his second IFBB Pro League title in two weeks tonight when he captured the Arnold Classic Australia in dominating fashion. Curry, who won the New Zealand Pro on March 11, has doubled his number of career wins in the past two weeks. The affable Curry entered March with two career victories, including the inaugural Arnold Classic Brasil in Rio de Janeiro in 2013. Curry also won the Toronto Pro in 2015. Maxx Charles (USA), third at the Arnold Classic two weeks ago, was second. Also in the top six were Michael Lockett (USA); Jeff Beckham (USA); Guy Cisternino Jr. (USA) and Darryn Onekawa (New Zealand).